14 year old Jamie Whitcher was 1st across the line in the Hillingdon Youth Winter Series U16 circuit race on Saturday. 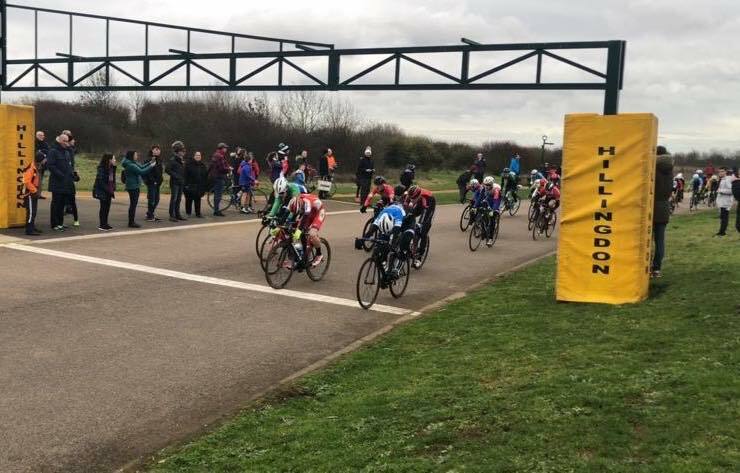 The multi-talented Jamie Whitcher showed he's just as good on the circuit as he is on the track on Saturday when the 14 year old took the win in a field of 30 riders at the Hillingdon Youth Winter Series. There were attacks throughout the race but nothing came of them and the field was back together for the last lap. 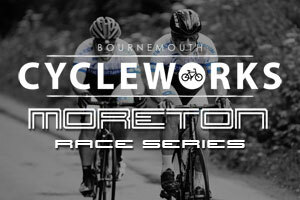 It came down to a bunch sprint in the end and Jamie was on the finishing straight in 4th. But a final sprint for the line on the inside got him the win with a brilliantly timed lunge. Only 0.02 of a second between Jamie and 2nd place. It was an early season race for everyone but it was Jamie who had the form to be first over the line. Great work from our youngest rider with plenty more to come this year! Jamie lunging for the line at Hillingdon to take the win!